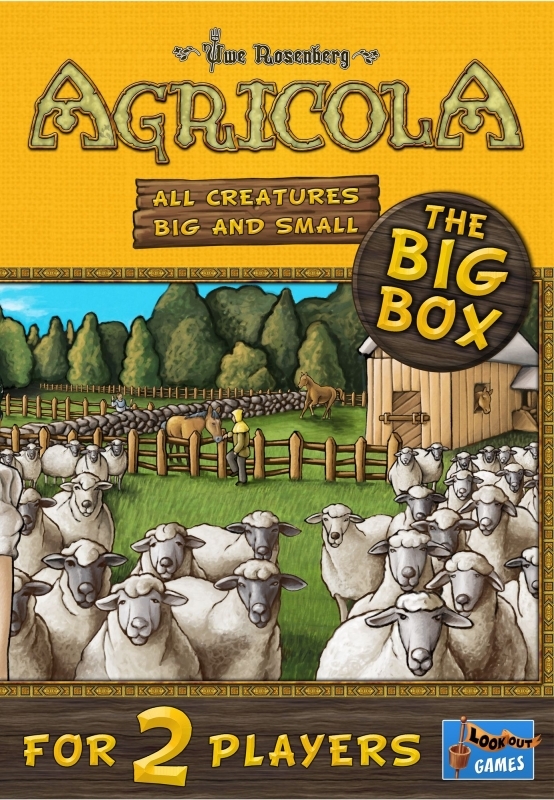 Agricola: All Creatures Big and Small – The Big Box contains the Agricola: All Creatures Big and Small base game and everything from the two previously released expansions. 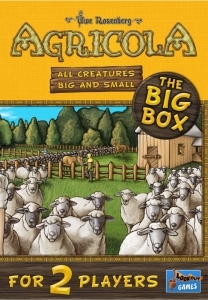 In the game, the players are animal farmers and want to extend their farms to horde as many animals as possible on their pastures and in their stables. 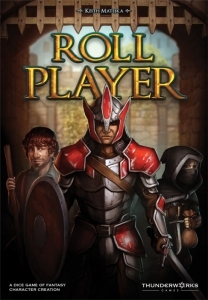 The 62 buildings from the base game and the two expansions provide unlimited strategies for each gaming round.